If the past couple of weeks have been any indication, winter is officially upon us, and while that does mean that there is a lot to look forward to in terms of the upcoming holidays, it also means that most of us are flipping on our home's heating systems, if we haven't already, and settling in for the cold weather to come. With our heating systems seeing more and more frequent use over the coming months, however, the possibility exists that all of that work our systems are performing are going to result in issues springing up from time to time, and when they do, it is important to call in a professional to have them taken care of as quickly as possible. While some of these problems are fairly obvious, like your system refusing to turn on for instance, there are others that you are a little bit more subtle and require you to pay attention in order for you to notice them at all. In an effort to help you keep your home comfortable throughout the coming winter, our heating contractors have taken the time to put together this short list detailing a few of the more common signs of heating trouble your system might be displaying this winter to show it is in need of service. Short-cycling is when your heating system still comes on and pumps heat throughout your home, but usually shuts off before it actually performs a full cycle. Generally, this results in your home not actually reaching the desired temperature. Short-cycling is usually a sign that there is something else wrong in your system that needs to be looked at, and if you notice that your system seems to be shutting off early, one of the best things you can do is call in a professional for an inspection and any neccessary heating repairs. The stress that short-cycling places on your system can result in a number of more serious problems as time goes on, so it pays to stay on top of it. While it is easy to be tempted into curling up on the couch or in your recliner with a blanket this winter, one of the more important things you can do is to take a walk around your home every so often to check and make sure that your heating system is providing heat to all of the various areas of your house. If you notice that some rooms in your home are colder than others, or that some vents are outputting heat while other aren't, and the vents aren't actually closed, it could be an indicator of a serious issue somewhere in your system, depending on what kind of heating system you have. Regardless of your system type, if you notice cold spots throughout your home, you are going to want to have a professional come in and take a look at your first opportunity. While it is natural for heating bills to fluctuate a little bit during the winter as the temperatures climb and drop, it is important to take note of when your heating bills seem to be climbing a bit higher than they usually do. While it is normal for them to be higher during a particularly cold month, if you notice that they stay high, even if the temperature outside starts to rise a bit, it could be an indication that some issue in your system is causing it to work harder than it should be, and this will be reflected in your monthly energy bills. Calling in the professionals at Mobley Heating And Air to get to the bottom of this issue will not only help to resolve any issues that might be causing unnecessary strain on your system, but it will also help to lower your monthly bills as well. 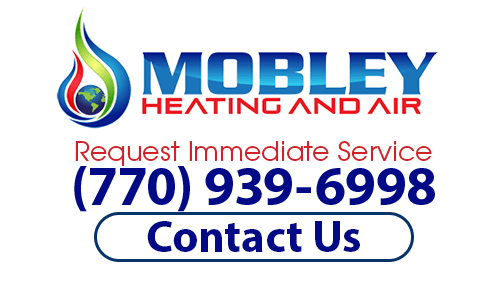 If you are experiencing any heating trouble, then please call our heating contractors at (770) 939-6998 or complete our online request form.